Hire a professional to inspect your furnace and make sure your heating system is working properly. Inspect you chimney for cracks and any debris that may have accumulated in the flue. Clean and covered or store patio furniture. Fertilize the lawn and winterize your lawn mower. 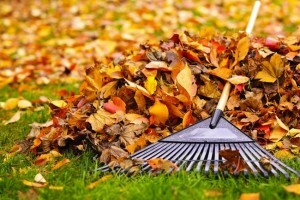 Clean gutters and clear them of debris before winter weather arrives. Hang holiday lights. It is easier to do and more enjoyable while the weather is still nice. Harvest the rest of the produce from your vegetable garden. Mulch trees and shrubs to protect them from harsh winter weather. Drain and store hoses. Turn off outdoor faucets. Buy winter supplies such as snow shovels, ice melt, and ice scrapers.